It's Rumor Time: Is Matt Reeves going back to Year One for his Batman movie? We haven’t heard anything about Matt Reeves’ The Batman since last year, when the War For The Planet Of The Apes director tried to clarify whether or not his movie would be connected to Batman V Superman and Justice League (and also when Ben Affleck once again teased that he doesn’t really want to play Batman anymore). Supposedly, though, things are starting to pick up speed on the production side, to the point where a site called Revenge Of The Fans claims to have picked up some hot new details about what Reeves his planning for The Batman. According to the site’s sources, some of which apparently work in different levels within Warner Bros., Reeves is looking to replace Affleck with someone who is 15 or 20 years younger, meaning this will be a much greener Bruce Wayne than the hardened killer Affleck played in the Zack Snyder movies. The site claims this is because Reeves’ story will “bear a resemblance” to Frank Miller and David Mazzucchelli’s Batman: Year One, the ‘80s comic run that depicted what is now the definitive version of Batman’s origin. Revenge Of The Fans also claims that Reeves’ movie, like Year One, will prominently feature a pre-Two-Face version of Harvey Dent. With that all being said, Revenge Of The Fans is a pretty new site that doesn’t have the track record of some other pages that have been churning out varyingly accurate superhero rumors for years. Because of that, we don’t know how much weight to give its sources or any conclusions that can be drawn from the information provided by those sources, which is to say that we don’t know how trustworthy this Year One rumor is. 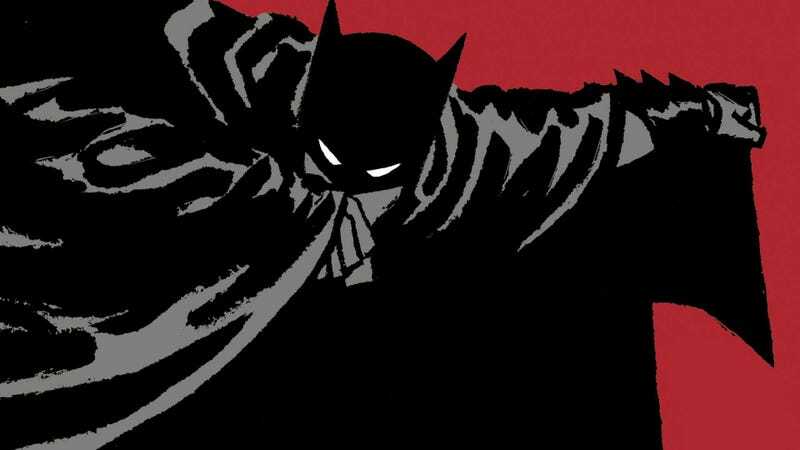 On top of that, Batman: Year One tells a familiar story, not just because Batman’s origin has been depicted in tons of movies now, but because it also served as the basis for Christopher Nolan’s Batman Begins. That movie had a bunch of nods to the comic, from small stuff like the basic details of Bruce Wayne becoming Batman to direct homages like the way Jim Gordon foreshadows the arrival of the Joker at the end. Nolan’s movie didn’t have Harvey Dent, but The Dark Knight did, and the scenes in that movie where Dent, Gordon, and Batman talk about how to shut down the mob are also direct nods to Year One. In other words, this exact story has been told before, so it seems like a leap to suggest that Warner Bros. would be willing to go back down such a well-trodden path. Of course, that doesn’t mean Warner Bros. won’t go back to this same well again, especially since it would violate federal law to make a Batman movie that doesn’t feature Thomas and Martha Wayne getting murdered again. If there’s merit to these rumors, though, we should at least know more about The Batman within the next few months.